Added by Indo American News on July 22, 2016. HOUSTON: IIT Alumni of Greater Houston (IITAGH) organized a workshop on Art and Applied Art on Sunday July 17, from 10-12pm at the India House. In 2016, IITAGH has typically organized events around Technology. 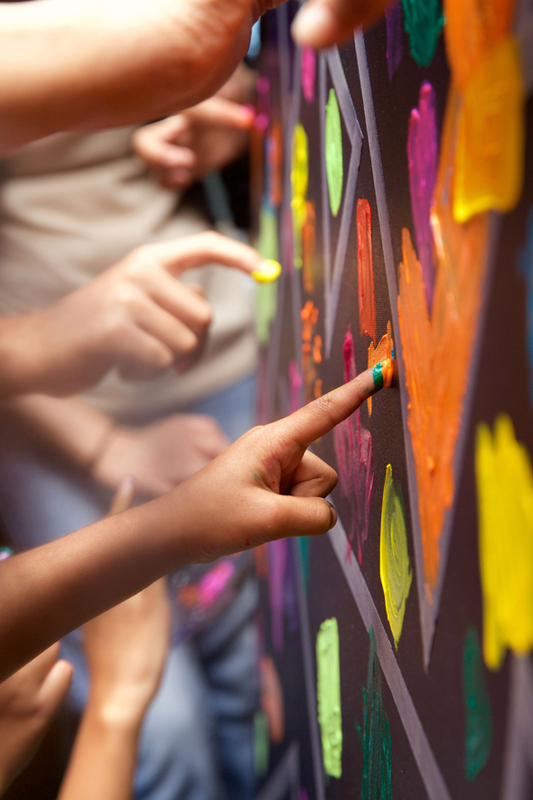 This was the first event targeted as a family fun activity while continuing to learning something new. “IITAGH works on the pillars of Connecting and Developing it’s members and Giving back to the local community. 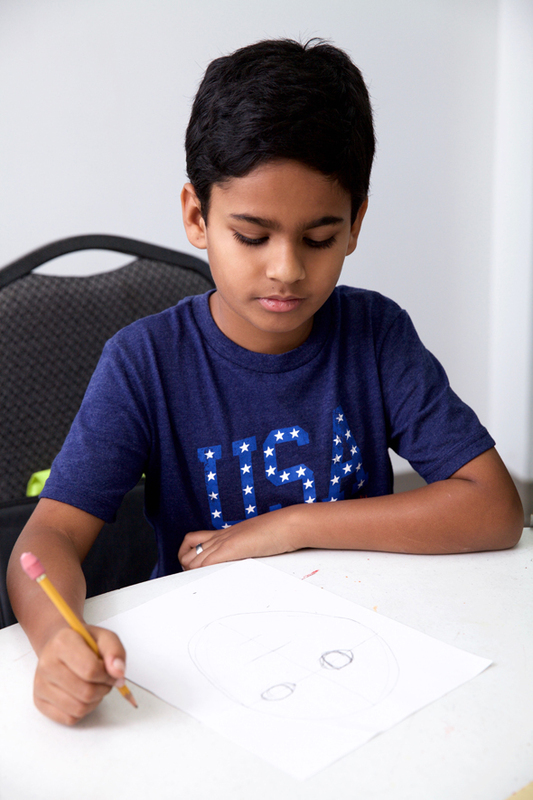 This Art workshop was successful from all the three pillars, as we brought together families, connected members and speakers and gave back to local community in terms of continuing education and fun. IITAGH thanks all the participants who took time from their Sunday morning to attend this workshop and made it a success”, said Shamanth Shankar, IITAGH President. Nimmy started the workshop by guiding the participants from scribbling to drawing shapes, sketching still life images and eventually sketching a self portrait. As Bharath Rao, photography volunteer at the event put it, Nimmy’s instruction on how to sketch a portrait was very methodical and made it easy for an engineer to follow. Bharath attended the event with his family and parents. Melvin then choose one of portraits (self portrait created by Farrukh Hamza) and created an avatar of it using Adobe Illustrator. As they say time flies when you are having fun, participants had so much fun during sketching that the organizers had to rush through the Adobe Illustrator coaching, to stick to time and wrap up the workshop on time. Melvin and Nimmy saved the best for the end, they invited all the children and adults to explore finger painting on the canvas which was followed by a draw and the lucky winner (Vanitha Bharath) got to take the creation, home. The workshop started about 10:00am and concluded at about 1:00pm. 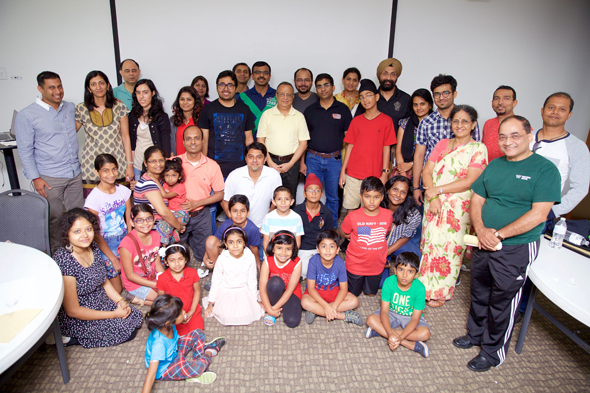 The event was attended by Witty Bindra & family (PAN IIT US President) and IITAGH Board Members and family (Shiladitya Basu and Huzefa Shakir). IITAGH thanks Pradeep Anand for his support in Marketing this event. The event wouldn’t have run smoothly without the help of IITAGH volunteers Riken Pandya, Bharath Rao and Badrish Krishnan. Thanks to Col. Vipin Kumar and his staff for the support they provided from India House. IITAGH has successfully hosted 5 packed events so far this year and 3 codefests. IITAGH trustee Anand Kumar Chauhan organizes and leads the widely successful codefest initiative. IITAGH and Rice Indo American Business Club (RIABC) will be hosting a panel discussion on Oil and Gas Market : Where do we go from here, on September 14 at Rice University from 6:00pm – 8:30pm.On the panel will be Patrick Connelly, Hossam Elbadawy and Pramod Singh. Sundy Srinavasan will be moderating the panel discussion.